The Scholarship Sub-Committee of the New England Regional Council of Carpenters has established the guidelines for the eligibility, application, and awarding of scholarships for 2019. Applicants may fill out the online application form by clicking here. You will be able to upload a copy of your essay, proof of enrollment and a copy of your transcript in the online form. Applications must be received by 5:00 p.m. on Friday, April 12, 2019. Anything received after this time will not be accepted. Americans often cite the nation’s middle class and potential for upward mobility as great characteristics of our economy. However, inequality has increased dramatically. Wages for many middle or lower class Americans have been reduced or remain stagnant. Benefits have been significantly cut back or eliminated. Discuss how these trends have been the result of long-term business and political strategies by certain groups in America and how they might be reversed. Note: Essays that do not meet the word count criteria will be disqualified. If you use outside references or sources please cite them. To eliminate bias, the scholarship committee is blind to the identity of the applicant. Essays are numerically coded to prevent any reader from having knowledge of the writer. Winners of the top two prizes will be asked to read their essays at the June 2019 delegate meeting. Persons awarded first or second place in a prior year are ineligible for first or second place in subsequent years. Click here for a PDF of the application guidelines. Fill out the online application by clicking here or you can download a PDF of the application by clicking here. Sign up for NERCC Alerts! The New England Regional Council of Carpenters is now sending text messages to members. 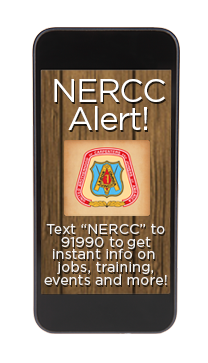 “NERCC Alerts” will be used to distribute timely important information about jobs, training and events. Click here to learn more.